New technologies and our most powerful resource—people—help answer critical questions to protect marine life and ecosystems. 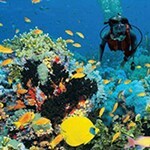 A diver floats above the seafloor, marking a waterproof tablet when a fish swims by in the clear blue water. In another ocean, researchers carefully separate small animals from a human-made structure that has been their home for the past year, preparing them for analysis. In a boat on the Chesapeake Bay, scientists deploy an innovative sonar unit to estimate the number and size of fish in turbid waters filled with plankton and organic material that reduce visibility to a few inches. “Our program’s focus on marine biodiversity is an unprecedented effort to address big questions with important consequences, such as how human behavior is changing the world’s marine life, and how those changes in turn affect us all,” says Director Emmett Duffy. But in order to maintain marine biodiversity and bolster its resilience, we need a baseline and a clear picture of how it is changing. 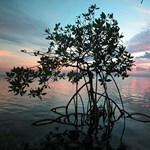 Measuring the existing biodiversity establishes that baseline from which to monitor changes in the ecosystem. With millions of species living in coastal waters, most of them as yet unidentified, that’s no small undertaking. Fortunately, recent advances in technology, from social networking to sophisticated new genomic processes, have made it possible to measure life in the sea on a broader and deeper scale than ever before. As a part of the MarineGEO initiative, researchers are combining their efforts using standardized equipment and methods to obtain a better integrated and more meaningful picture of the ocean’s diverse life, enabling them to monitor changes over space and time to better understand the causes and effects of stresses within our marine ecosystems. One network-wide initiative focuses on connecting who is present in the ecosystem to how it works. Measurements of fish feeding activity—or predation—are conducted simultaneously across sites using a simple protocol, which helps to measure the health of the habitats. “Predation is important because feeding by predatory fish can be critical for maintaining healthy coastal ecosystems,” says Matthew Ogburn, a Smithsonian postdoctoral fellow and researcher at the Smithsonian Environmental Research Center in Chesapeake Bay. A relatively low-tech method for measuring predation rates employs “squid pops,” which consists of a piece of dried squid attached to a stake with a thin fishing line. Groups of stakes are inserted into the seabed in shallow water along the shoreline. They are checked after one hour and again after 24 hours to see how many of the floating bits of squid remain, allowing researchers to measure fish feeding rates at each site and make comparisons among them. The elegant simplicity of this experiment makes it possible to involve local undergraduate and even high school students, as was done in the MarineGEO Hawaiʻi effort. “The benefit of using the squid pops is that they’re simple and use widely available materials, so you can make them or ship them cheaply anywhere in the world, and then deploy them at the same time to get data back from a huge number of places,” says Dr. Ogburn. 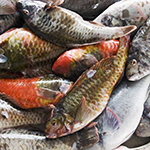 “Besides telling us something about how actively fish are feeding in a given habitat, we can also conduct long-term experiments in the same locations to see how fish predation is changing within habitats seasonally and from year to year.” From a practical perspective, this information allows researchers to compare areas of undeveloped shorelines with those of moderate and high development, where fishing often removes large predatory fish. A high-tech tool used to measure fish communities is the Dual Frequency Identification Sonar, or DIDSON, which sends out sound waves that bounce off fish and captures them with real-time video images. Similar to sonar fish-finders for boats but far more powerful, DIDSON is able to render a fairly high-resolution image that uploads to a computer. “It’s like you’re watching a movie of fish swimming by,” says Ogburn. “We use the DIDSON in shallow nearshore habitats to study what fish are moving along the edges of, say, an oyster reef or a seagrass bed,” says Ogburn. “We take the device out to about eight meters from shore. 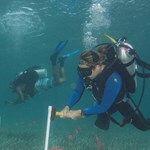 We record with it pointing toward the shore, then turn it around to record everything in deeper water. This allows us to sample up to 15 meters from shore in a repeatable, standardized way and assess the size distribution and number of fish. From that we can roughly calculate fish biomass in different habitats.” The DIDSON can also be used in conjunction with the squid pops to further understand what is eating the food, similar to how an underwater video camera would be used in clear water. 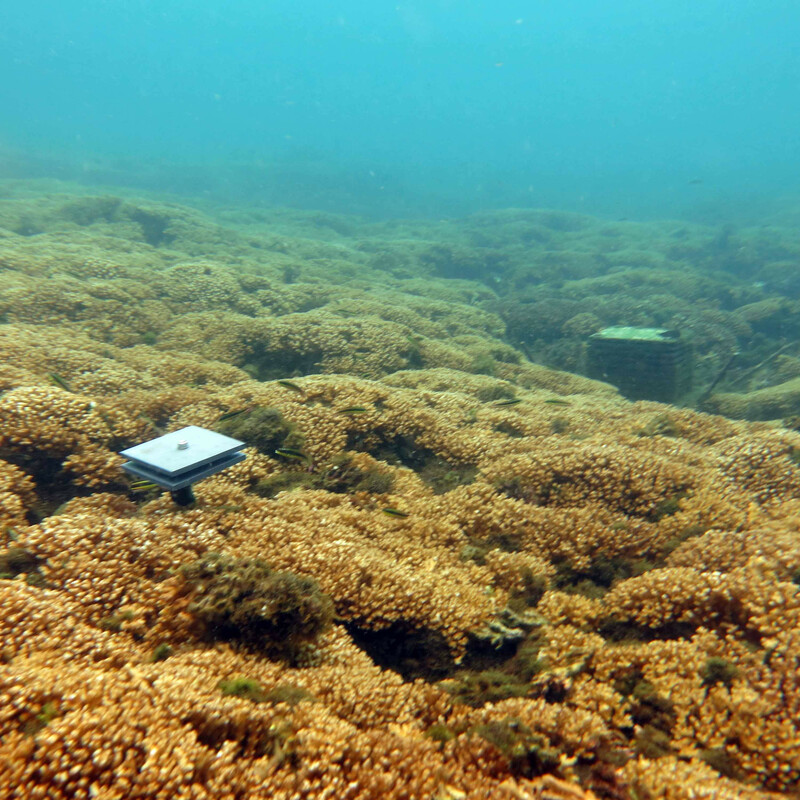 Another technological advancement is the Autonomous Reef Monitoring Systems, or ARMS, an apparatus initially developed for use in coral reefs by Nancy Knowlton, the Sant Chair for Marine Science at the National Museum of Natural History. The ARMS are standardized structures for collecting marine “cryptofauna,” the rich diversity of tiny invertebrates that live in holes and crevices on reefs and are extremely difficult to sample reliably. The ARMS unit is about nine inches on each side, consisting of thin PVC plastic plates with spaces for small reef-dwelling organisms to attach themselves or hide in the nooks and crannies between the plates. The simple ARMS produce a tremendous quantity of data on species at a site. Once the ARMS are disassembled, researchers separate the small mobile animals from those attached to the plates, counting and visually identifying those that are known, and also photographing and mapping the plates to document the organisms attached to them. Researchers then use cutting-edge molecular genetic science to analyze DNA sequences, a kind of genetic barcode. Advancements in DNA technology have made possible Next Generation Sequencing, which allows researchers to get hundreds of thousands of sequences from just a single sample. 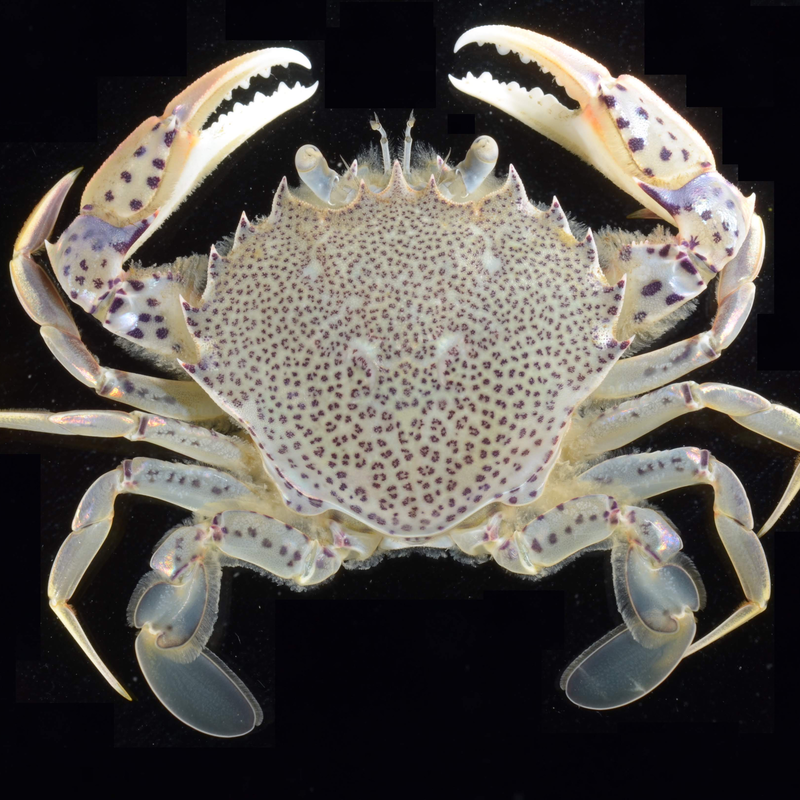 Marine biologist Matthieu Leray, a Smithsonian post-doctoral fellow, reports that using ARMS combined with DNA sequencing technology has enabled him and his colleagues to detect more than 2,100 species just from a few ARMS deployed in the coastal waters of Virginia and Florida, the vast majority of them new to science and measuring less than 0.5 millimeters. 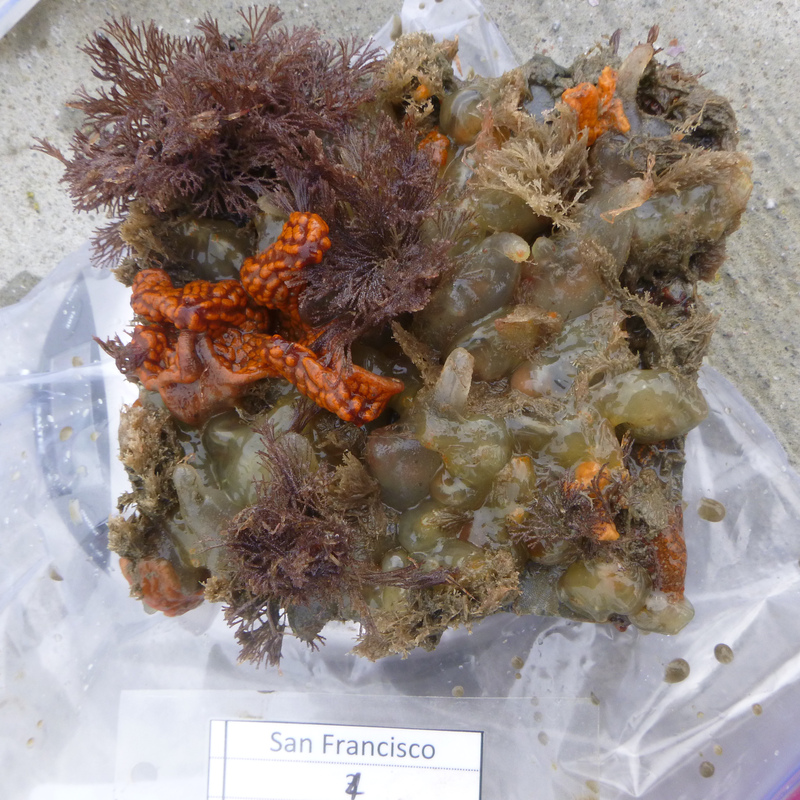 Leray and Knowlton published their findings, “DNA barcoding and metabarcoding of standardized samples reveal patterns of marine benthic diversity,” in Procedings of the National Academy of Sciences. The publication—the first scientific paper from TMON—was featured in a story by The Washington Post. Digital imagery and image processing have also advanced, both in quality and availability. “Now you can go to the store and buy a digital video camera for a few hundred dollars with extremely high resolution, comparable to what only pros had a few years ago—and you can take it underwater,” he says. But, like DNA data, the resulting flood of digital imagery from the ocean has produced more material than researchers can possibly look at. “So, various groups of biologists and computer scientists are working together to develop machine learning—computer algorithms that can learn how to identify certain kinds of organisms in the images, like corals or seaweeds or sponges, in a fraction of the time it takes people to look at all these images,” says Duffy.